On Halloween last Friday, City Center held its annual Sejiki Ceremony followed by a costumed dinner. At this annual event, Zen Center hosts a group of kids from Clara House, a neighboring transitional housing facility for families. 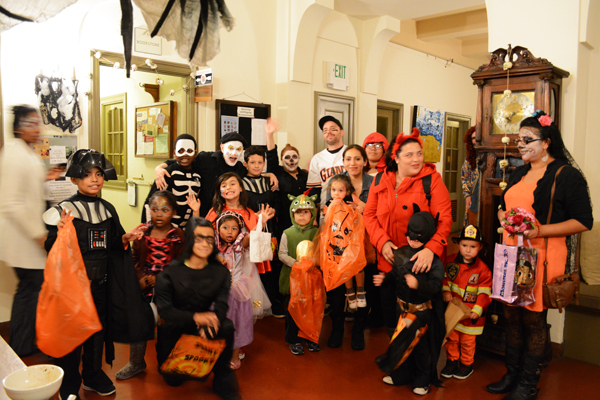 After dinner, the kids get to “trick or treat,” and residents have the opportunity to meet the kids-in-guise at their doors with candy.� Pictured are this year’s trick-or-treaters with adult companions from Clara House.